I worked at a large outdoor retailer for years and have always been a gear junkie. I know a quality made product when I see it. I can also tell if something is just made to look like “outdoor adventure gear” for dogs or if it’s actually going to work and hold up to repeated use. As a pet blogger, I’ve seen a lot of stuff made for pets. There are a few brands that really stand out to me. Their products are made to the high-quality standards I’m used to seeing in people gear and it seems like a lot of thought was put into them. One of those brands is Kurgo. I had actually never owned anything by Kurgo – I’ve just been admiring it for years. Well, I finally got a Loft Hammock to protect the back seat of my car and I love it! It looks sharp (that’s important you know). It’s waterproof to help protect my seats from wet hiking gear and muddy paws. I can just throw it in the washer when it gets dirty. I can use it as a hammock to create a little storage compartment on the floor that the dogs can’t get to (I can’t put food or treats there though. I am pretty sure they would eat through a brick wall to get to those 🙂 or remove the front attachments to create a car seat cover that will protect my seats from our wet, muddy people friends. 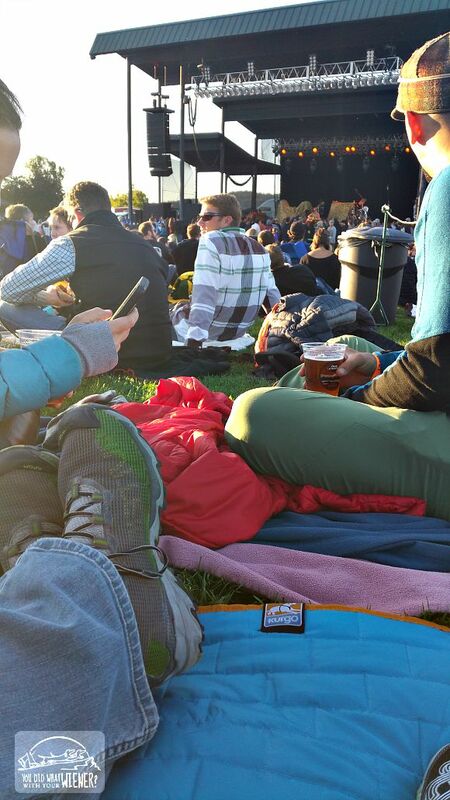 It also doubles as a ground cloth at an outdoor concert or a blanket when it starts to get chilly. Kurgo has some other great adventure gear too. I have my eye on the Quantum Leash because I can’t let Chester or Gretel off leash but I want to try hiking hands-free. I would like to try the Surf N Turf Life Jacket for paddleboarding next spring because it looks like it will fit a Dachshund well but offers more flotation than the ones we currently have. They also have crash-tested dog safety harnesses for the car (only a few out there are actually crash tested), dog jackets, a dog first aid kit, and much more! I’m definitely looking forward to trying more of their stuff. Disclosure: This post and giveaway is sponsored by Kurgo. I received compensation in exchange for sharing information about Kurgo and this giveaway. However, I only write about products and brands that we would use or can stand behind here at YouDidWhatWithYourweiner.com. Everything I say is really how I feel. Kurgo is not responsible for the content of this article. I really need to get some of the harnesses for my dogs when we travel! I was so disappointed to learn that most companies don’t test their safety harnesses in crash tests. A lot of people don’t know. Some companies use the term “safety” harness to mean safety because the dog can’t run around the car to distract you – not “safety” as helps to keep your dog safe. I’m a huge fan of Kurgo products. They deliver such quality and I’ve always been able to count everything we’ve used. Our hammock is nearly 2 years old and is still holding up strong with 4 big dogs. We just got our hammock so I am happy to hear that yours has held up well for two years. What an awesome giveaway! I LOVE Kurgo products. I use the wonderful Kurgo safety harness on all our road trips to keep our dogs safe. 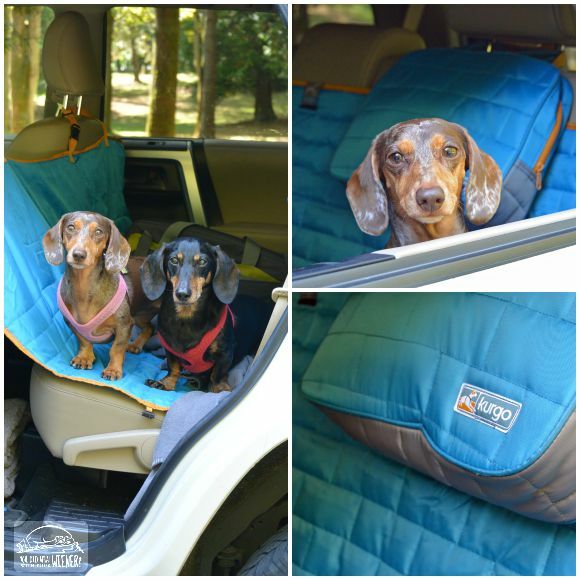 I need a car seat cover badly to help keep the car clean during our many outdoor adventures! I was only able to get 1 entry (don’t have Instagram) but I wanted to say I have the quantum leash and several other Kurgo products and they are all great. My personal favorite is the collapse-a-bowl, which I have in blue. I’ve had my eye on the quantum leash. Their other products are so well made I am sure it is too. Glad to hear that you like it. We love Kurgo too! We have one of their car harnesses that is also easily used as a walking harness. We’d love to try some more of their gear too. Thanks for this great giveaway!